Police are investigating 17 crimes in the past month. Most take place at pharmacies that are open overnight. 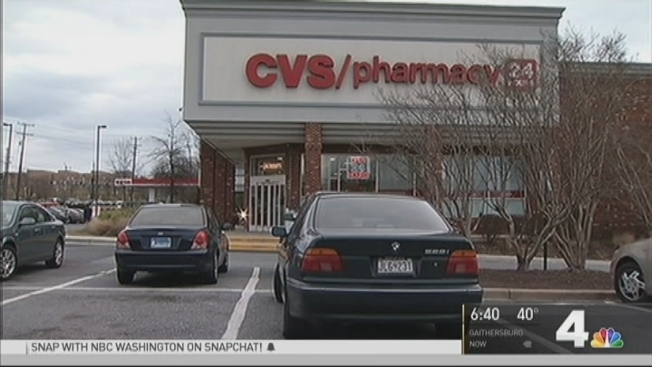 The same CVS in Greenbelt was robbed twice this week while two CVS Pharmacies in Bethesda were robbed early Thursday morning. One armed robber could be responsible for more than a dozen crimes across four Maryland counties in the past month, according to police. Many of the targets are pharmacies open 24 hours a day. "He doesn't seem to care who may be in the store, who may not be in the store," Montgomery County Police Officer Rick Goodale said. "Typically in these cases, police's concern is that the level of violence will escalate." Of the 17 crimes under investigation, the first was a 7-Eleven in Greenbelt on Christmas Eve. Police said they believe he robbed a CVS on Greenbelt Road early Tuesday morning and struck the same CVS again at 3:40 a.m. Friday. Thursday morning a man with a handgun wearing dark clothing and concealing his face assaulted an employee at a CVS in Bethesda during a robbery at 2:51 a.m. Then at 5:16 a.m., a man with a handgun attempted to rob a Rite Aid in Silver Spring but left without taking any money or merchandise. Fewer than 20 minutes later, a gunman robbed another Bethesda CVS. “I can't recall, in Greenbelt anyway, this type of activity where so many robberies taking place in such a short period of time, and we're definitely concerned,” Greenbelt Police spokesman George Matthews said. Police in Anne Arundel County said they have three cases. Howard County reports four. And Prince George’s County has two cases just this week.